This satire about presidential elections is a fun, and timely, release. 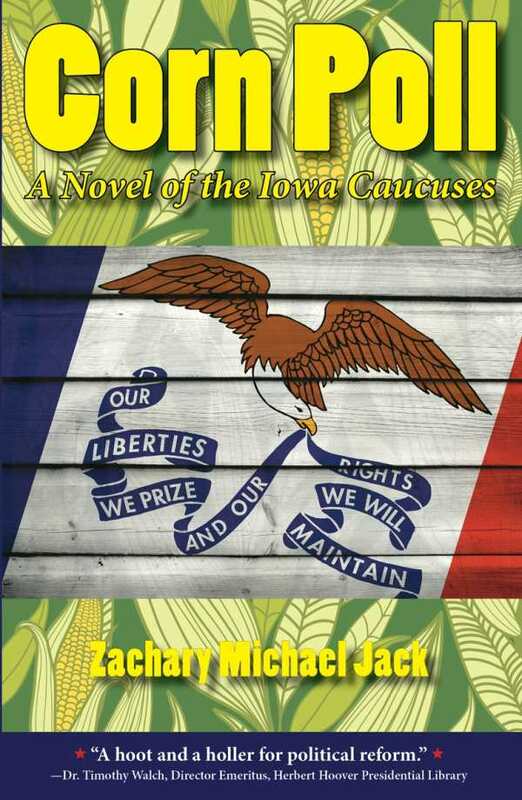 In Corn Poll, a satirical novel by Zachary Michael Jack, a young reporter asks one ill-thought-out question that changes the trajectory of the race for the Republican presidential nomination. The story focuses on Jake Preston, a recently laid-off journalist from Colorado, who wins a Republican Party-sponsored contest to cover the party’s potential nominees campaigning in Iowa. Given the opportunity to ask one question during a debate, he realizes he has no idea what to ask, and asks the candidates their opinion about the Silver Steer, an out-of-favor local trophy he just read about in the newspaper. Soon, the Silver Steer becomes the biggest issue in the campaign as the would-be presidents joust over the trophy itself, the Silver Steer gains popularity as a protest write-in candidate, and a secretive political movement adopts the steer as its symbol. Along with a waitress he befriends and his more cynical reporter colleagues, Jake becomes part of the story as he covers the events leading up to the Iowa Caucus vote. By the end, Iowa voters are just as (or more) concerned with the question of who’s behind the Silver Steer protest campaign as with who will win the caucus. The candidates are barely disguised versions of the 2012 Republican primary candidates, with names and states changed only slightly (though that year’s Romney/Obama election is also referenced as having taken place). The satire regarding the candidates goes after their naked ambitions and glad-handing personalities, rather than any policy stance or anything about their records. The journalists and party leaders sometimes feel like archetypes, but Jake and the local characters are well developed. Corn Poll is less a biting commentary than a humorous farce, with an old-fashioned ethos about the importance of small towns and tradition when it comes to politics. The writing is lively, and the story is particularly strong in the early chapters, as Jake adjusts to the cramped lifestyle of campaign season. Jack is an Iowa-based writer, and his work demonstrates a knowledge of the state’s unique caucus process, and how a small number of Iowans can greatly influence the nation’s choice of leadership.